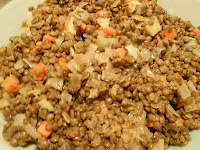 The basic recipe for the lentil part of the salad I found on David Lebovitz's blog. 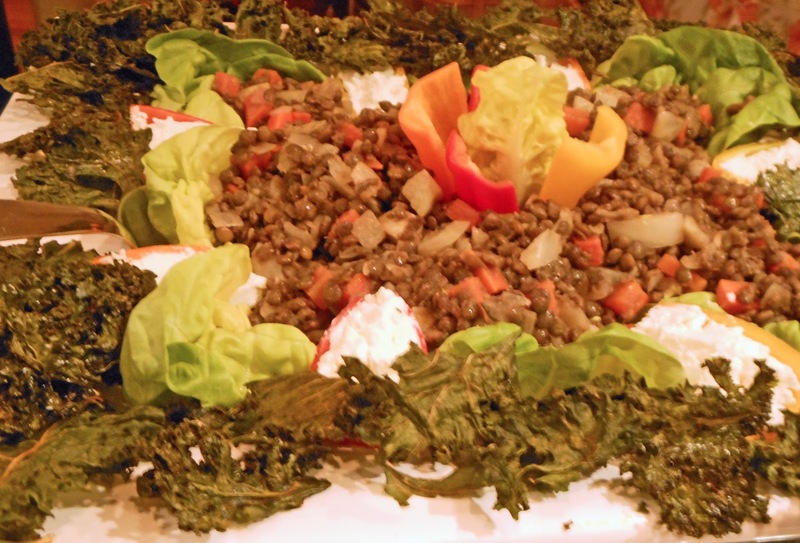 I served it in lettuce cups, decorated with small bell peppers stuffed with goat cheese, and surrounded the whole with kale chips. 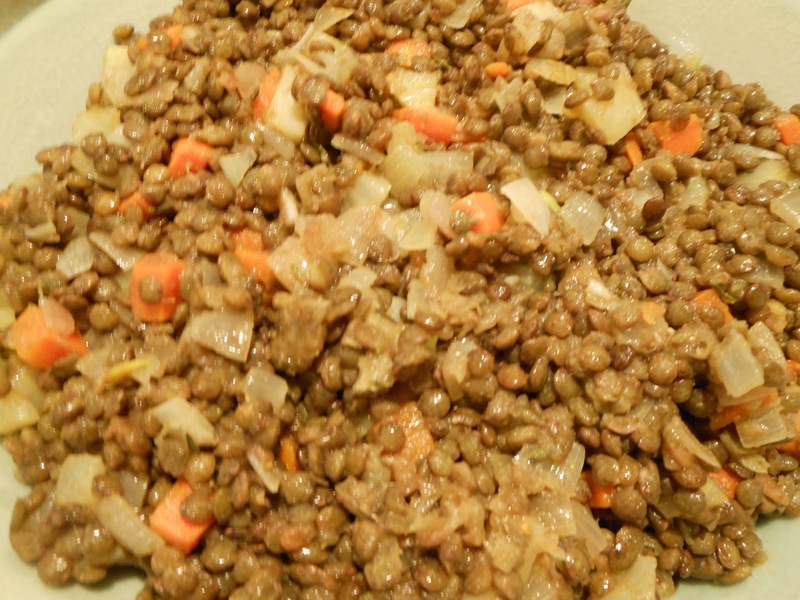 This was the salad in my Thanksgiving Menu 2012.